I have been really enjoying making these little people. I got really inspired around the time I was working on the new ballerina doll, it was this post that was just too adorable. 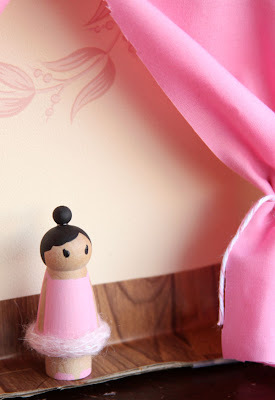 So I made my first ever little stage and sent two dolls off to two adorable budding ballerina’s. Even sweeter is this post after they received it. The photo below is priceless. 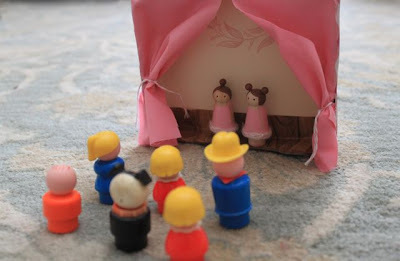 New little people performing for vintage little people. Just love it. PS i can't wait to see the doll you're making!!! i'm honoured! I'm dying over that last photo! Thanks everyone, they are so much fun to make. You should give them a try.